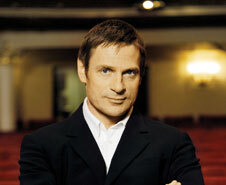 Simon Keenlyside's lied recital in Barcelona that was to have taken place on 21 January 2015 has been canceled. The Opus Arte DVD of the Royal Opera's Eugene Onegin with Krassimira Stoyanova and Simon Keenlyside is scheduled for release in the States on October 29, 2013. A blogger reports that Chandos is recording Verdi's Macbeth. I imagine that the recording will be in English. Chandos Records are recording Verdi&apos;s Macbeth at Blackheath Halls at the moment, with Edward Gardner OBE conducting the English National Opera Orchestra. Elizabeth Llewellyn -- Lady Macbeth&apos;s Lady in Waiting. 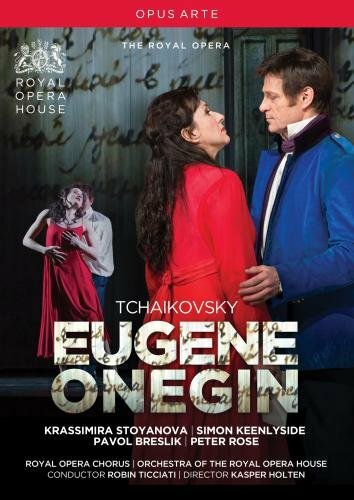 The Opus Arte DVD of the Royal Opera's Euguene Onegin with Krassimira Stoyanova and Simon Keenlyside is scheduled for release in the United Kingdom on 2 September 2013, says amazon.co.uk. 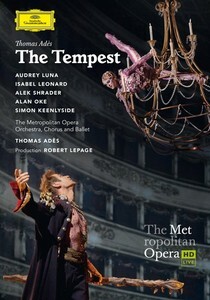 Amazon com says that the US release of the Tempest DVD (Metropolitan Opera, with Simon Keenlyside as Prospero) is September 17, 2013. And at amazon.co.uk the release date is September 9, 2013. In the codalario interview Simon says that he has been offered the baritone role in Strauss's Die Liebe der Danae. He also says that Mandryka in Arabella would be a good option for him. But he doesn't imply there are any definite plans for those roles. He does say that he will probably do Boccanegra, but not for now. He will do Beckmesser in 2017, in a performance with Bryn Terfel. The London Symphony Orchestra recording of Britten's War Requiem is one of the Top 10 Classical Albums of 2012 according to NPR Music. 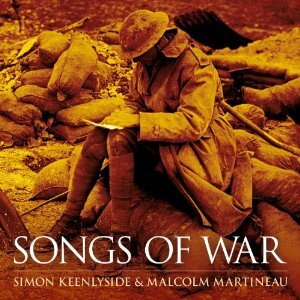 Songs of War has won the Gramophone award for 2012 in the category Solo Vocal. Tickets to the Metropolitan Opera's HD broadcasts to movie theatres in the United States for the 2012-2013 season are now being sold in advance thorugh Fandango.com. Chabrier's extraordinary, if incomplete, opera is surely a precursor to Salome and eclipses even that most lurid work in the gloriously opulent sensuality of its music. Performed at the Edinburgh Festival by some of the greatest singers of the day and recorded live by Hyperion, this thrilling performance stunned critics and public alike. A genuinely wonderful discovery. At Gramophone Magazine, in connection with the Gramophone Awards nominees for 2012, in a Podcast editor-in-chief James Jolly and critic Richard Fairman discuss the Solo Vocal Category, which features: Mark Padmore in Britten and Finzi (Harmonia Mundi), Roderick Williams in Britten (on Naxos), and a programme entitled 'Songs of War' from Simon Keenlyside (Sony Classical). This recording sees over 440 musicians taking part, including 92 string players and over 300 singers. "An intensely musical performance by Simon Keenlyside in the title role and a deeply considered production by Phyllida Lloyd, each of them attuned to the sound and the sense of Verdi&apos;s music, put this Macbeth at the top of the DVD competition for this tricky opera. Keenlyside's performance is highly detailed in vocal terms. He can be dreamy or pensive, as well as tormented, as the role requires. The dagger monologue is sung with reserves of breath, and the final section of the Act II finale, 'Sangue a me,' is sung with the sort of Verdian legato that is supposedly extinct today. Verdi provided an unusually wide range of expression marks for this role, even more than in many of his later operas, and Keenlyside has worked them all into his portrayal as if he had thought up the ideas himself. As an actor, he gives every indication that he would be capable of carrying the role in Shakespeare's play. "Liudmyla Monastryska&apos;s Lady Macbeth is unusually well sung." --William R. Braun, Opera News of July 2012. 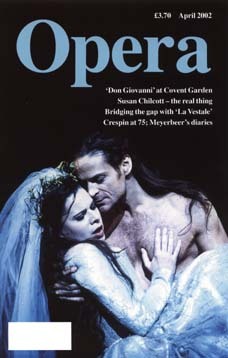 The U.S. release of the Royal Opera's production of Verdi's Macbeth on DVD and Blu-Ray is scheduled for March 27, 2012. Because of illness, Simon Keenlyside will be replaced by Lucas Meachem in upcoming performances of Le nozze di Figaro, the Royal Opera House has announced. 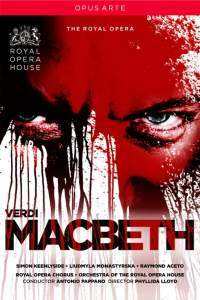 The Royal Opera's production of Verdi's Macbeth will be released on DVD on 31 January 2012 in the United Kingdom and on 8 February in France. No word yet that I am aware of as to American release. TRACKS: Extra features: Cast gallery / Interviews with Simon Keenlyside / Raymond Aceto and Liudmyla Monastryrska. Rehearsing Macbeth with Antonio Pappano. With Simon Keenlyside making his British role debut, as an athletic, brooding Macbeth and Liudmyla Monastyrska as his Lady, both imperious and subtle, this performance, masterfully conducted by Antonio Pappano, goes far beyond mere sound and fury. '. . . an impressive company showcase, full of moments when chorus and orchestra are at full throttle. Whipped up by Antonio Pappano's baton, they sound truly thrilling.' The Guardian. Alex Ross's list of the year 2011's most memorable classical music performances includes: "Oct. 23: Gianandrea Noseda conducts the London Symphony and a host of singers in Britten&apos;s 'War Requiem' at Avery Fisher Hall, as part of the White Light Festival." Born in London, Simon Keenlyside as a child attended St. John's College School, Cambridge, and toured and recorded with the school's choir. He studied zoology at Cambridge University, and, after graduation from Cambridge, resumed vocal studies at the Royal Northern College of Music in Manchester. He has had a successful career as a baritone in opera and song. This Web Site is based in the United States of America. I make no claims concerning whether the Content may be downloaded, be viewed, or be appropriate for use outside of the United States.